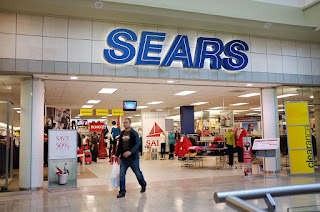 Online Code: Enter Sears coupon code: SEARS5OFF50 in their promo box at checkout. In Store & Online: Various printable, mobile & online coupons for sears members. Get $20 when you spend over $150 at sears stores, $7 off and more. Note: If you are not a sears member you can join hereto use these exclusive coupons, its free. Plus you earn points for extra savings. In Store: Download The Sears App and Get $5 Off Any Purchase Of $15. - free lenses with the purchase of any frame for kids 17 and under. Printable coupon: Get 20% off clothing, fine jewelry, lingerie, and sleepwear. Get an additional 5% off when you pay with your Sears card. Spend $100 or more at sears stores and get $10 off with this coupon. Exclusive Coupon: In-Stores. Extra 30% off when you spend $100 or more on regular and sale priced clothing, accessories, sleepwear and lingerie. 20% off on regular and sale priced clothing, fine jewelry, accessories, lingerie and sleepwear. In Store Only. Conventional Oil Change for only $16.99. Includes: Up to 5 quarts of Valvoline oil and $3.49 filter. Use your sears card with coupon and save 25%. Get a 10% discount storewide at sears outlet. Print coupon and save an extra 15% Off Regular, Sale Priced and Clearance Family Footwear. Sears is a large established department store chain offering a vast array of merchandise and services for both family and home. Although they carry countless known brands, their proprietary brands such as Lands' End and Kenmore are among the most trusted in the US. Sears also has a popular Shop Your Way loyalty program that rewards its members with benefits as they earn points. Use the Sears coupons below for extra savings.